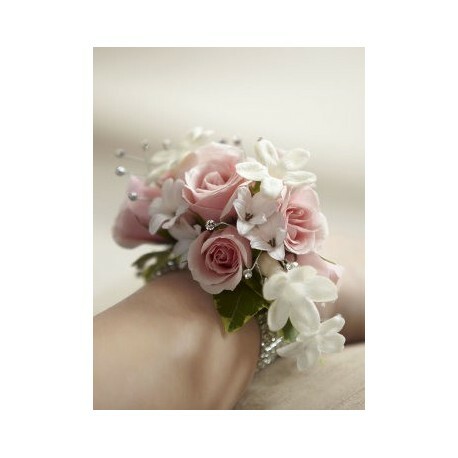 We’ve gone for a look that’s classically feminine and graceful with this exquisite wrist corsage. 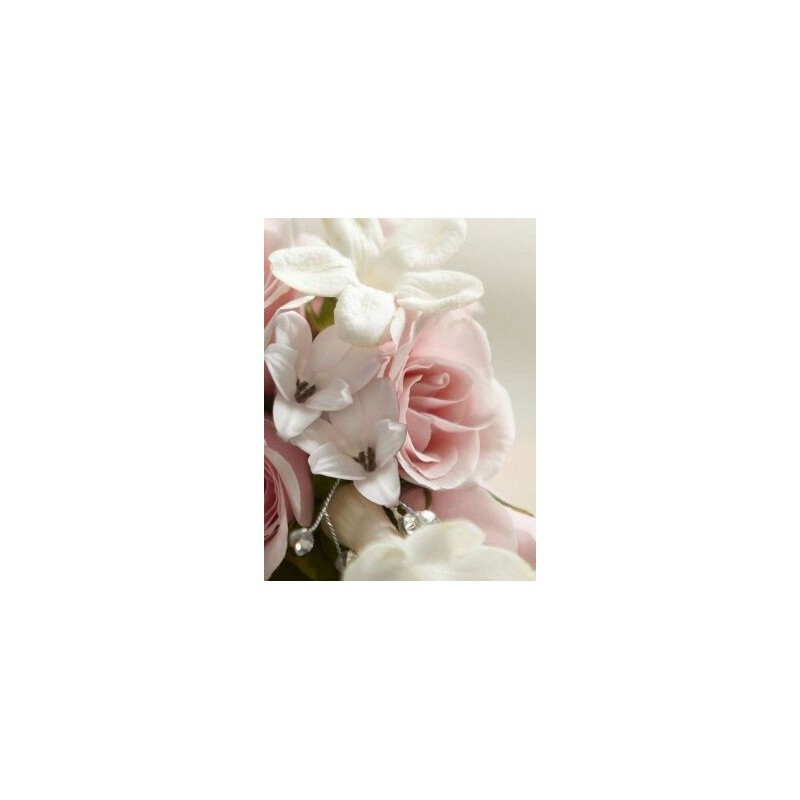 Fresh roses in softest pink, dainty white stephanotis and delicate hyacinth flowers mingle with sparkling rhinestones to create a very beautiful adornment. 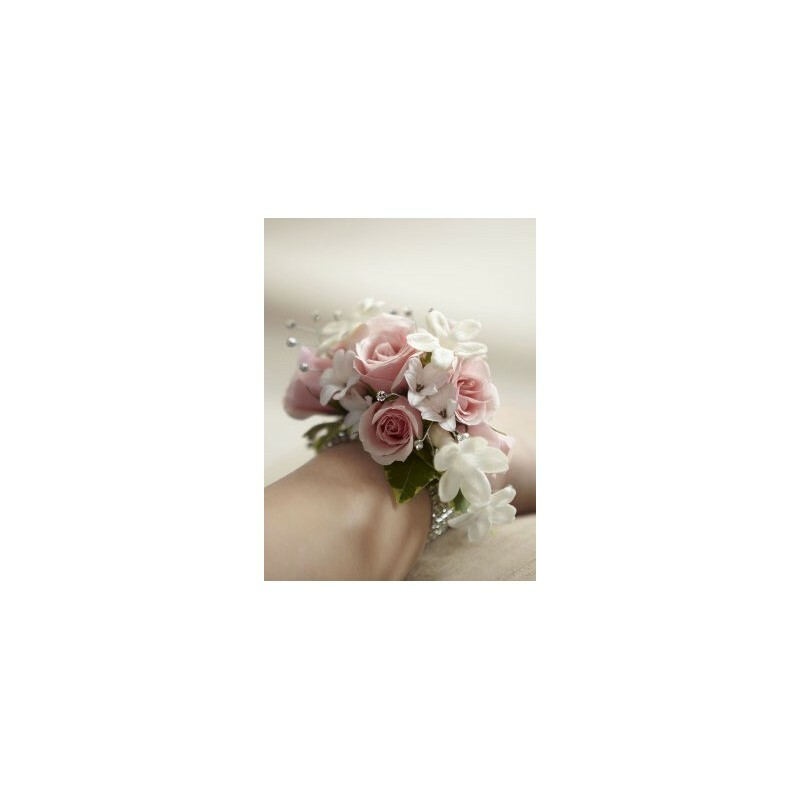 Featuring 5 white stephanotis pips, 2 pink spray roses, white hyacinth petals and variegated ivy trails set onto a rhinestone bracelet and trimmed with rhinestone picks. 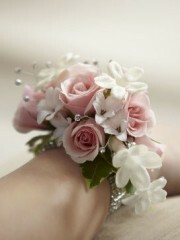 An elegant adornment for your special occasion.